Well, the Influencer could be busy promoting a brand or ten, so to help answer these questions for you, we’ve put together 5 amazing, organic ways to grow your following count in 2018. When someone comes to your Instagram profile, they should get a good idea about what your profile is without scrolling too much through your feed. They should be able to recognize what you usually post about, the things you care for and your overall sense of aesthetics to see the need to follow you. When you follow someone on Instagram, you usually know what to expect from them. 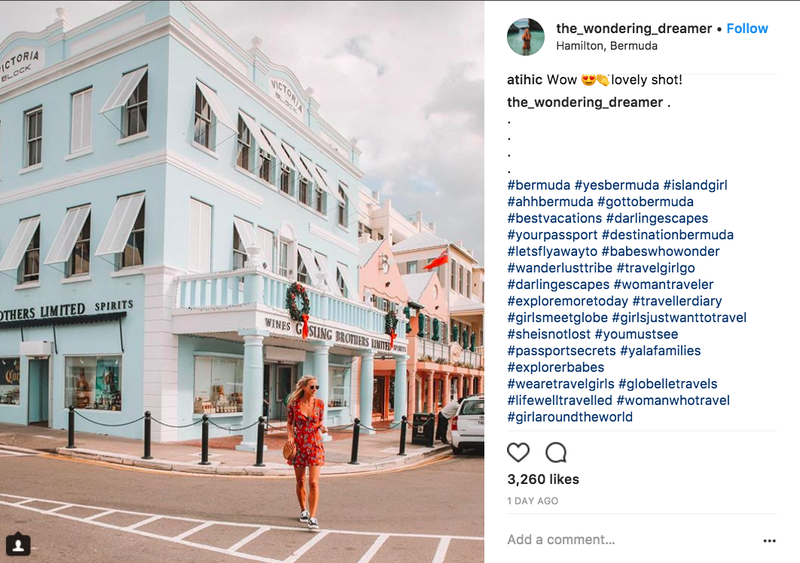 If while following them, you see a lot of travel pictures, you’re hopeful of seeing more of it along with getting some travel recommendations. If you followed them for all the gorgeous flatlays of food, you expect to see pretty bowls of food, some food art and recipes you can inculcate into your lifestyle. Now imagine following someone for their travel tips and then seeing makeup recommendations on your feed. Total mismatch! And sooner or later, you’re going to be unfollowing them. In the same way, when someone follows YOU, they expect to see more of what’s already on your feed. So if you talk about travel, keep the recommendations, the secret spots and the beautiful pictures of you against turquoise blue waters coming. That’s not to say, you can’t post about other things — but if travel is your niche, stick to it and create content around this topic specifically. If you haven’t jumped on the Stories bandwagon yet, do it right away, my friends. Make your first story saying hello to your Instagram followers, put a sticker or two and post it for them to see. Instagram stories have been a huge hit ever since the time they launched in August 2016. They’re a great way to give your audience a peek into what goes on behind the scenes, how you do what you do and not to mention, they also take personal interaction up by a notch. Several notches, actually. Keep your stories raw and real, people dig that kind of stuff. And most importantly, be consistent. What’s exciting about posting Stories is that, if you ever happen to get featured on the Explore tab you see on Instagram, it’ll do your account a great deal of good. Notice the row of Instagram Stories at the top of the page? The reason those stories are there is because Instagram selected them based on the kind of content you usually engage with. These are people who you don’t follow, but they post the kind of content you’re extremely likely to interact with. So if you’ve been liking posts related to Fitness, be sure to see stories from a lot of Fitness accounts right at the top. Now the interesting part is, if your story is real engaging and filled with good content, there are very high chances of Instagram picking up your story to feature it on their Explore page. Honestly, this point deserves its own blogpost. But let’s quickly cover some of the things you need to keep in mind to have that amazing, appealing, awe-inspiring Instagram feed. First things first. To have a similar vibe and feel going in your photos you need to edit your pictures in a similar way. This doesn’t mean you have to choose one filter and one filter only, but limiting yourself to a few will help you stick to your chosen aesthetic. Something like VSCOcam will help you build a nice, moody feed whereas A Color Story will help you pop some brightness and colours into your photos. Snapseed is another app with an impressive arsenal of tools and settings that are really simple to use and one that I highly recommend. Second. Decide the kind of vibe you want to have going and stick to it as much as you can. Whether it’s going to be melancholic, bright, or moody. Also, choose if you want to keep your feed minimal or busy. All of this can help you achieve that consistent look and feel that will make your feed stand out when someone checks out your profile. Hashtags are a great way to get your photo seen by people who aren’t following you. And lately with the number of photos being uploaded every second to Instagram, it’s all about using the niche hashtags to get discovered. If you use the generic ones like #love, #happy, it’s very much possible your content will get lost amidst the plethora of other photos with the same hashtag. So how do you find the right hashtags for your account? Take some time to check out the kind of hashtags popular accounts in your niche are using. If they have a good following, clearly something is working for them and more often than not it’s the hashtags that bring in the good visibility. When you discover some unique hashtags check out the number of posts that hashtag has and what the top 9 grid looks like. For example, @danielwellington’s hashtag #DWPickOfTheDay is a great one to look out for. Same with @nothingisordinary_ and their hashtag #nothingisordinary. You’re allowed to use 30 hashtags on Instagram and I’d highly recommend you use them all. If you don’t want to clutter your caption with 30 hashtags (which you shouldn’t), then add them as a comment preceded by “. . . . .” (one dot per line) so that the comment gets truncated. The best way to make the process of adding hashtags easier is by keeping a note of it on your phone. Make separate categories of hashtags related to #food, #travel, #baby, #blogging, #music, #lifestyle so that you can easily copy and paste the right hashtags as a comment. Use both a mix of popular and niche hashtags. When you use niche hashtags with less posts on it, there’s a greater chance of being featured in the top 9 grid. Being featured in the top 9 helps greatly in getting your account discovered (and liked, and followed). Engaging with fellow Instagrammers works like karma. With the new algorithm, Instagram decides who they will show your photo to. If you take the time to find similar accounts to yours, follow them and leave them a good ol’ comment, they too will take the time to return the favour. Now imagine with Instagram’s algorithm in play, photos that get the most likes in the first 15 minutes are most likely to show on top of the feed. In a scenario like this, you want your followers to engage with you as soon as you post something. 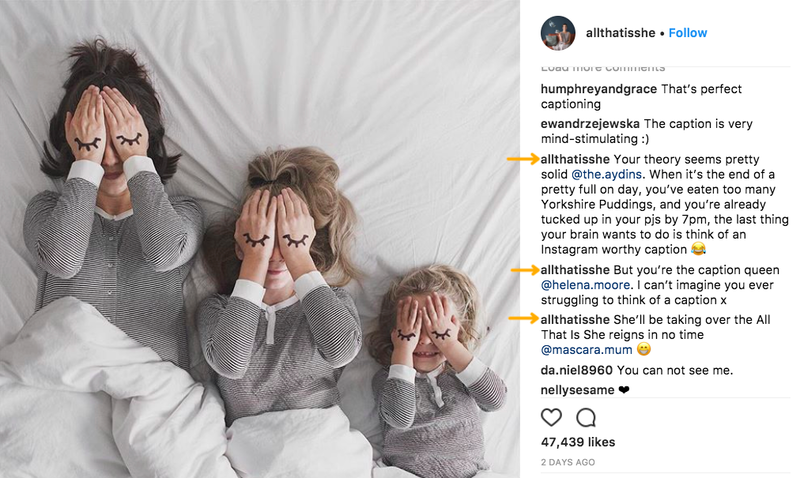 When you engage with those you follow on a regular basis, they’ll (your followers) be more inclined to double tap and comment on your pictures when they see it pop up on their feeds. This creates quick engagement and also ensures your photo is shown to a lot more accounts than usual. With 800 million monthly active users, Instagram is booming like never before. From personal brands to bigger businesses, it’s becoming a priority for everyone to leverage the power of Instagram. I hope that these 5 ideas make a good start for you to get Instagram followers in 2018!